The world's first infrared remote control module for hobbyists. Add IR blaster to your next project. 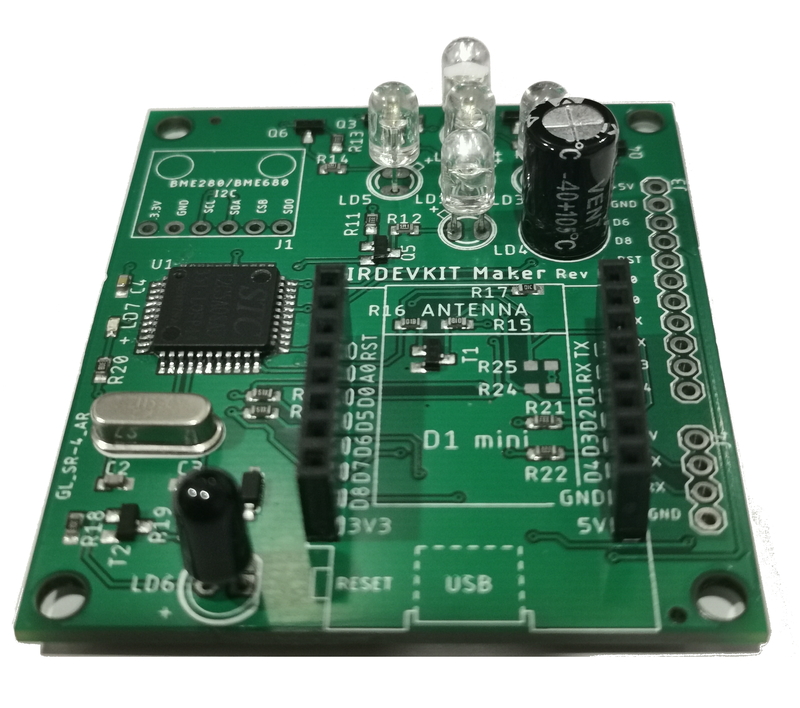 Our development kits are made for hobbyists and amateurs who don't want to mess with soldering and do not want to learn the details of encoding and decoding IR signals. Starter module supports UART communication. 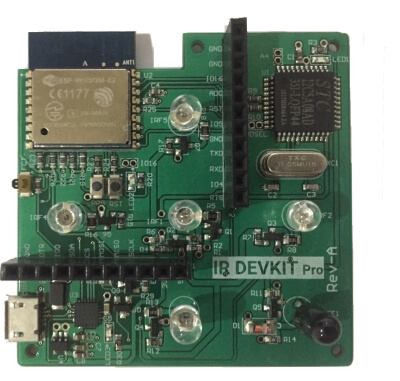 You can use development boards like Arduino, ESP8266 WeMos D1, ESP32, RaspberryPi, STM32 Discovery to communicate with the IR controller module. Pro module has a Wi-Fi controller (ESP-WROOM-02) built-in. You can use the additional GPIO pins to add sensors like temperature, humidity. 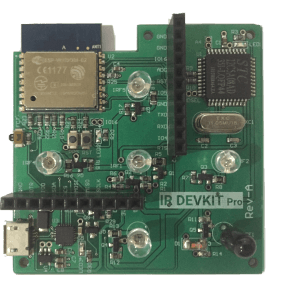 About 98% of devices that are available on the market can be used for learning and controlling with this module. Including TV's, air conditioning units (supports long IR codes), audio & VCD players , projectors, fans and many more. You can learn the IR remote commands of diverse electronic devices and test them in seconds. This module is also capable of learning long IR codes (e.g. for air conditioning devices). 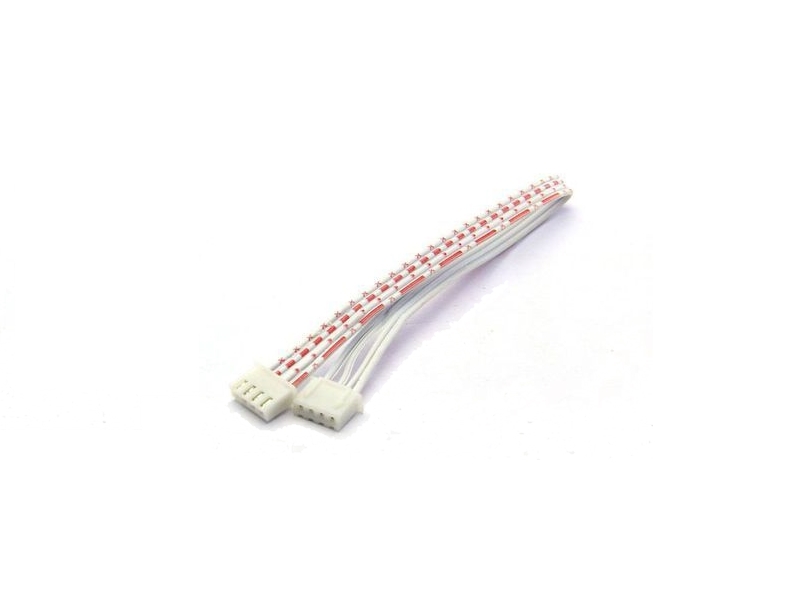 Supports Standard UART interface, TTL level. Operates at 9600 baud, 8 data bits, no parity, and 1 stop bit (8N1). 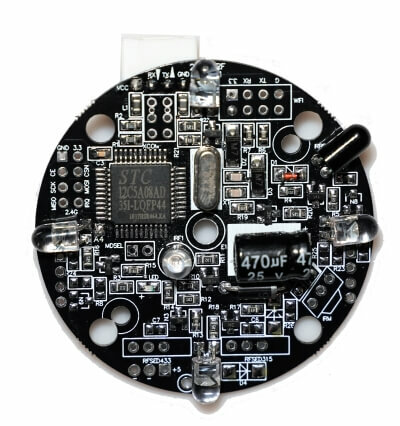 Any development board that uses a microcontroller with a 5V output is sufficient. ESP8266 WeMos D1 mini is one of those boards. Wire up your development board according to the diagram shown. Now you are ready to start the learning mode. To start the learning mode send the E0 to the module via UART interface, the built-in LED indicator will turn blue. Now press any button on the remote to record. Module will decode the button's IR signal and send it back via the UART interface. Once you have decoded an IR signal, it is easy to send it back. Send E3 followed by the IR code you decode earlier. The built-in LED indicator will blink once to indicate send success. To make things easy we have designed another module with built-in WiFi so you can just plug it in and start playing with it. 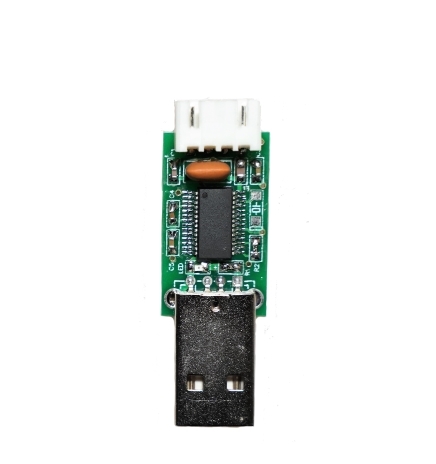 Built-in ESP-WROOM-02 microcontroller with Wi-Fi support. 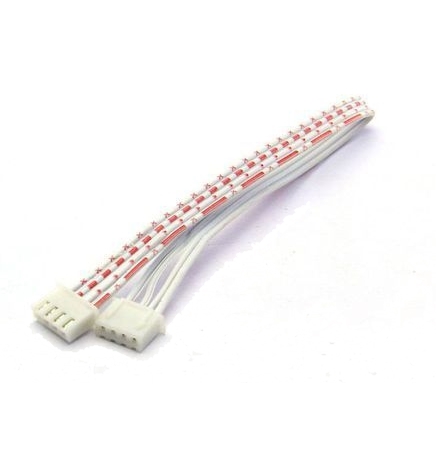 Free GPIO pins to add other sensors like temperature and humidity. Compatible with Arduino IDE and PlatformIO. 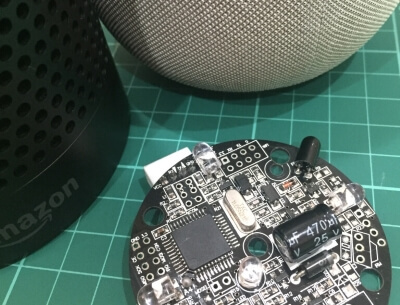 Turn Amazon Echo or Google Home into a universal remote. What's in the Starter Kit box? What's in the Pro Kit box? Our kits are sold at the best price possible for you.